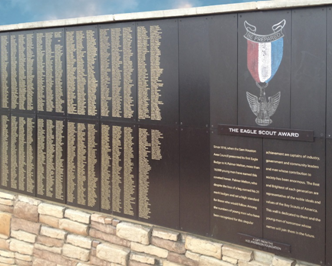 The names of all Sam Houston Area Council Eagle Scouts are listed on the wall in front of the Cockrell Scout Center. New Eagle Scouts are added annually in the fall. Join us as we recognize the 2017 Eagle Scout class. The event is free, but please RSVP for planning purposes. Light refreshments will be served and vendors (e.g., Eagle Scout Association, ScoutShop). If there is inclement weather, the ceremony will be held inside the council office. The Sam Houston Area Council provides this reception free of charge for Eagle Scouts and their guests. 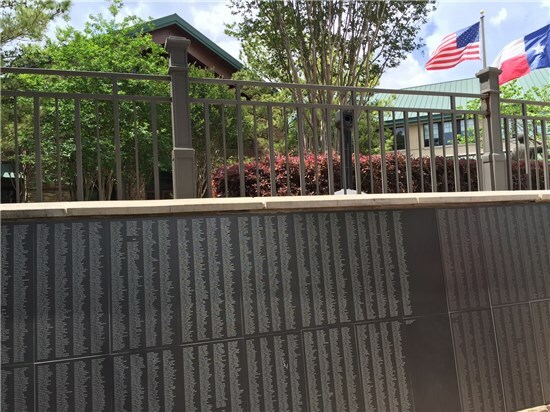 This event is underwritten with generous sponsorships by many Scouting supporters, Eagle Scout alumni, charter members, Scouting supporters, and patrons.